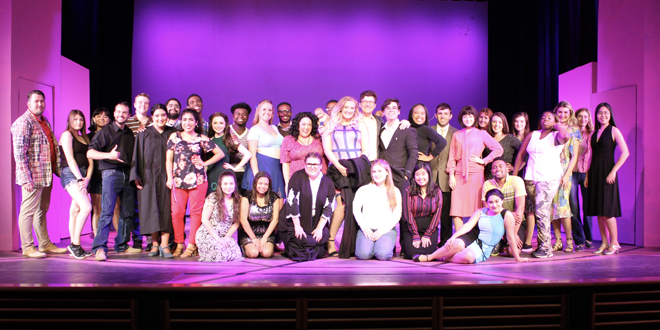 The Cast of "Legally Blonde: The Musical," PHOTO CREDIT: Erik DeCicco. 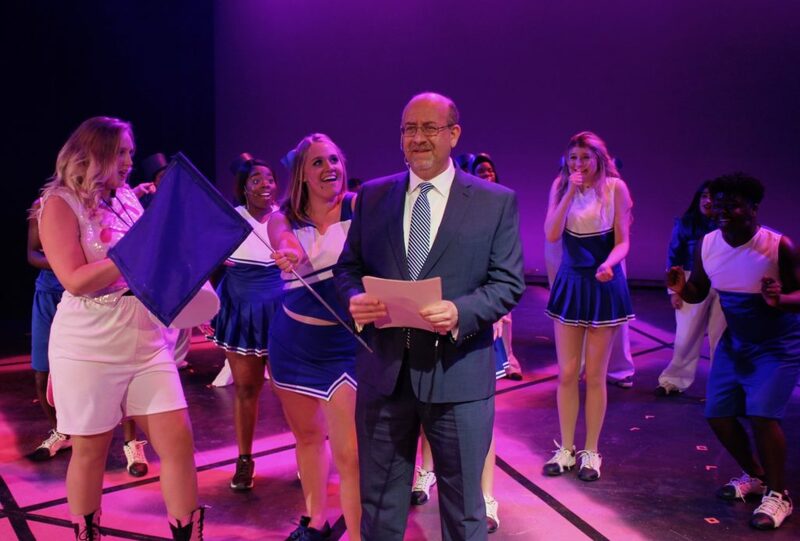 Women’s History Month is coming to a close as the Linda Berry Stein College of Fine Arts opens its production of the acclaimed Broadway hit, “Legally Blonde: The Musical.” The Tony Award-nominated show takes the JU stage in Swisher Theatre Mar. 28 to 31. It’s women’s history month right now and it feels great to be able to tell this story. We live in a time where women are finally being taken more seriously. The show follows the story of UCLA Delta Nu Sorority sister Elle Woods, played by Theatre Arts major Sarah Stepp, as she tackles Harvard Law School to prove that she can be “serious.” A large cast and crew of JU students are featured, all under the direction of Theatre Department Artist-in-Residence Erik DeCicco and with music direction from Assistant Professor of Voice Jay Ivey. The musical focuses on the ups and downs of Elle’s experience navigating law school, at first to win back her boyfriend. She soon realizes that she’s motivated by all the wrong reasons and begins a personal growth championed by her hairdresser and friend Paulette, played by Aaron DeCicco. 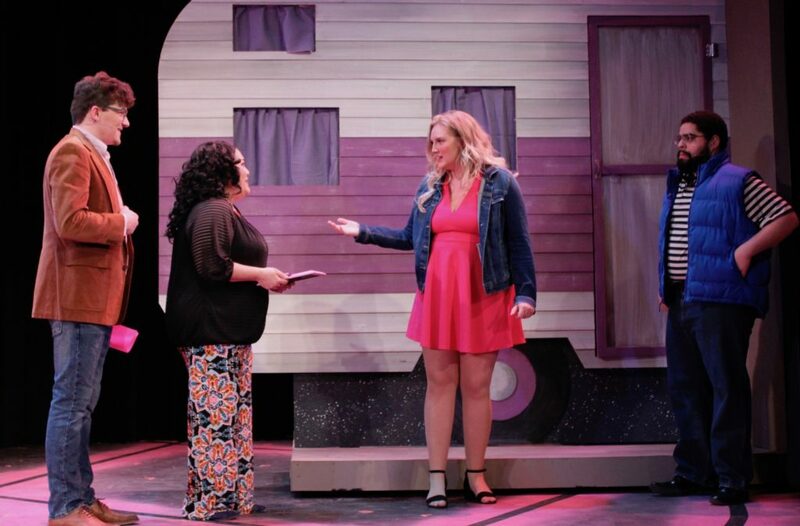 Delta Nu sisters Margot, Serena, and Pilar are played by Kelly Wolfe, Kyrstin Creswell, and Isabella Martinez, all familiar faces on the JU mainstage. Axel Barry, Aaron DeCicco, Sarah Stepp, and Carlos Adorno (from left to right). I learned that choosing kindness, no matter the circumstances, has the biggest personal reward. “Legally Blonde: The Musical” will be presented at 7:30 p.m. Mar. 28, 29, and 30, and 3 p.m. Mar. 31 in Swisher Theater. Tickets are adults $10; seniors, military and students $5; and JU students, faculty and staff free with valid ID. They can be purchased at the box office or at www.jutickets.com. For more information, email edecicc@ju.edu or call (904) 256-7347.